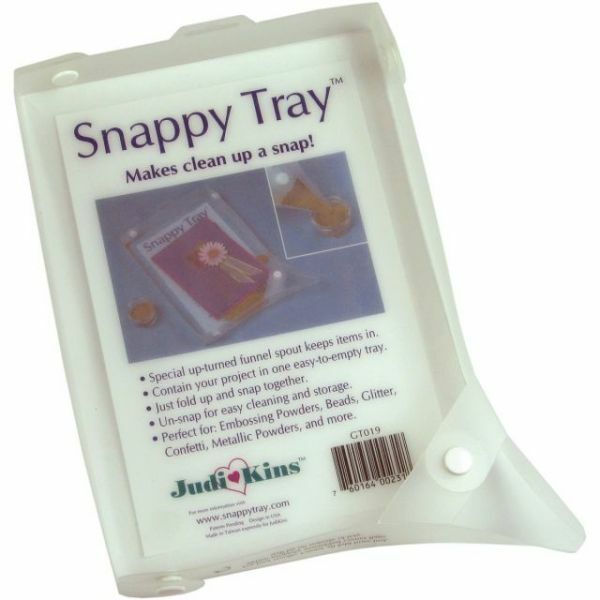 Snappy Tray - JUDIKINS-Snappy Tray. Easily clean up your favorite proejcts! 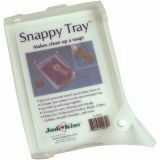 Snappy Tray is perfect for embossing powders, beads, glitter, confetti, metallic powders, and more! Simply snap the sides together, and pour back into the container. Unsnap for easy storage. This package contains one 11x8-1/2 inch lightweight plastic snappy tray. Assembled size: 9x6-1/2x1 inch. Imported.